These come up every year against my house on the northern side where I let the oak leaves stay under the eaves of my house, where they get plenty of water. I'd been trying to ID these guys for years; and until yesterday, I had been stumped. 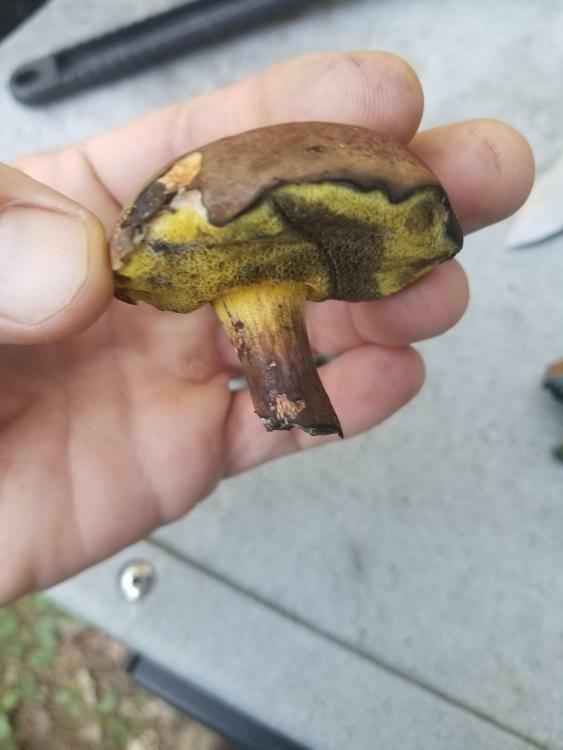 The cap is brown, the pores are a brilliant yellow, the stalk is yellow at the top and (before it's handled) is orange and brown, descending the stalk. The flesh is yellow and immediately stains blue when exposed to oxygen. 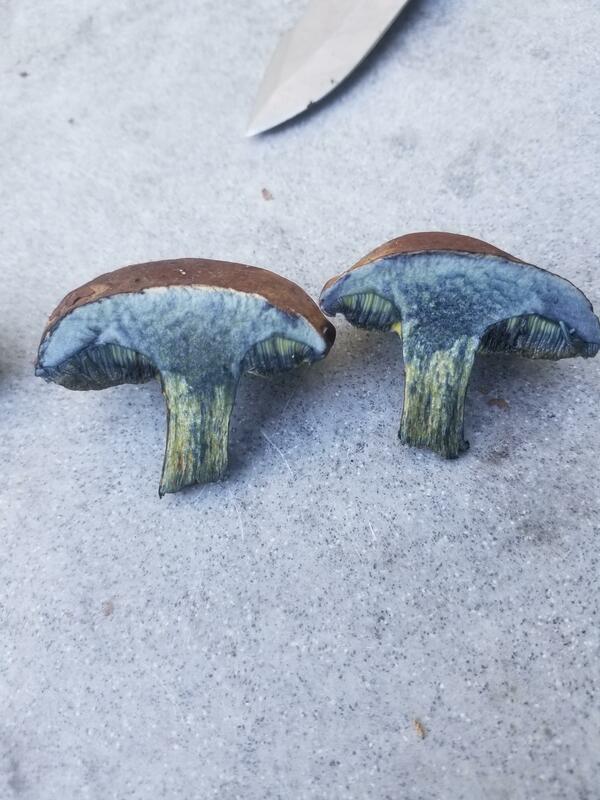 The slightest touch on the pores and stalk will stain them blue and the blue becomes black then a very dark brown. After being most certain that I've identified them, I'm dehydrating them to later add to a soup and sample their flavor. I haven't found any look alikes.